In the 1950’s, Bomas helped shape the ceramics machining industry. Today, we are the shape of things to come! Bomas is credited with being pioneers in the use of Diamond Tooling; and innovators of Conformal Grinding and Machining. Today, our skills, processing decisions, and tooling methods continue to prove unequaled as we master the test of time. 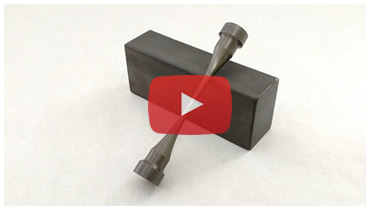 Tapered angle grinding and slotting in rods and tubes at various lengths.